[German]In connection with the latest Windows updates there is (possibly) a problem with Internet Explorer 11 that can cause crashes. In my opinion, this problem occurs in all versions of Windows and it’s available since September 2017 patchday. I just publish the information within this blog. Perhaps other users can confirm this issue with Internet Explorer. Recently I found a short post from Woody Leonhard at Askwoody.com. Woody had received a user mail claiming issues with Internet Explorer 11. I’ve mentioned this issue within my German blog post November 2017: Patchday-Überraschungen (WSUS, IE …) and have asked my blog readers, it somebody can confirm this. Till now I haven’t received a confirmation. Some users who have the text size for icons set to a larger size (using Display Settings in Control Panel) may have issues launching Internet Explorer. Reducing the text size for icons to a smaller value or using the Change the size of all items setting should alleviate this issue. Microsoft wrote, that they are working on a solution and intend to ship it with one of the upcoming updates. I’ve searched the Internet for recent updates and came across the following patches mentions the above IE 11 issue. The issue is also contained within updates released in the following months (see for example KB4041691). On the patchday on September 12,2017, Microsoft also changed Internet Explorer 11 via updates. I’ve addressed this within my blog post Internet Explorer 11: Hide search box. The screen shot below shows what has changed. The upper part shows the old design before September 2017 update. All tabs are shown right of the address bar. After September 2017 IE11 update, the open tabs are suddenly displayed below the address bar. And the old search box is back, and will be shown right from the address bar (lower part of the above screenshot). 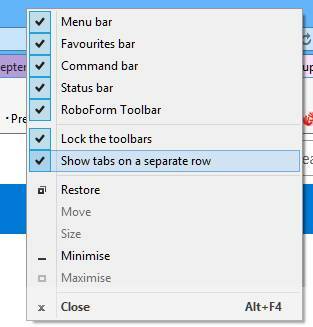 Also the context menu of a tab contains a new command Show tabs on a separate row, that switches between the two designs shown in the screenshot above. It seems, that this change is causing issues in Internet Explorer 11 now. Internet Explorer 11 crashes …. Woody Leonhard has published this article at Computer World, describing the problem. The article bases on observations of user @PKCano, who is active within the site AskWoody.com. He has documented his findings here and here. After installing Monthly Rollup for Windows 7 in September 2017, KB4038777, Internet Explorer 11 wont start anymore. Uninstalling this update fixes the issue. Installing KB4038779 (Security-Only Update) didn’t cause an IE 11 start issue. Installing KB4036586 (Cumulative Update for den Internet Explorer) causes the IE 11 crash issue. Uninstalling this update fixes the issue. and if the icon font size for the tabs is to large, then IE 11 crashed during start. 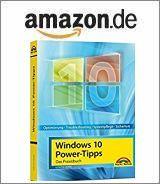 Woody Leonhard wrote ‘If both of those conditions are met, and you install any of the Monthly Rollups for Windows 7 or 8.1 from September onward, it now appears that IE will not start’. Reading my previous text above, indicates, that also Windows 10 builds are affected. You reduce the icon font size in the Control Panel’s Display applet. If the value is low enough, IE 11 will start again. This entry was posted in browser, issue, Update, Windows and tagged Internet Explorer 11, issues. Bookmark the permalink. 1 Response to Internet Explorer 11 crashes after installing updates? Microsoft has patched mshtml.dll once again so there is a precedence for issues with older software that might use their own mshtml.dll or try to access parts that no longer exist.